Catherine de’ Medici was a lady who loved luxury and refinement and who introduce the use of fragrances for the body and the environment at the French Court. This practice was already the norm in Florence, both in the court and amongst the noble families. Renato Bianco, renamed René le Florentin by the French, her trustworthy personal perfumer,created for her the wonderful aromatic pomegranates, spheric goldsmithing creations containing solid perfumes, to be worn as pendants around the neck, at the belt or to be used as home fragrance diffusers. Very soon the use of this fragrant balls spread to all the Italian cities and abroad. The ingenuity and technical capabilities of Renato Bianco, who followed her to France, were picked up by the French who became masters in the art of perfumery. The de’ Medici family created the Boboli Garden, the Italian garden (giardino all’italiana) of rare architectural and landscape elegance, planned and designed by artists like Vasari, Ammannati and Buontalenti. Near the Boboli Garden, entering at the Forte Belvedere, you can visit the Garden of Villa Bardini. Thanks to the careful restoration that lasted for five years, its visitors are offered an itinerary that shows the development and the transformations of the garden over time and a unique panoramic view over the historic center of Florence. We start our tour in Via Ghibellina, at Antica Erboristeria San Simone, founded in 1700, it is one of the oldest and most traditional bottegas in the city and since 1992 it is managed by the expert hands and nose of Dr. Russo. We then arrive in Via Vacchereccia in the heart of Florence, to encounter the Speziere di Palazzo Vecchio, a place where for two generations, sophisticated artisanal, high quality artifacts with a special attention to the raw materials have been created. We continue our visit in Via Calzaiuoli to breath the aromas of the Tuscan Archipelagos thanks to the fragrances of Acqua dell’Elba. In via Tornabuoni we find the historic Officina de’ Tornabuoni, since 1843 catering to the most refined clientele with its natural products and perfumes for beauty and health. In Via della Spada, the Antica Officina del Dottor Vranjes offers refined fragrances for the body and the home that have seduced the entire world. Our itinerary continues at the Erboristeria Gremoni, in Via Faenza, the historic location where it has been doing business since 1716. 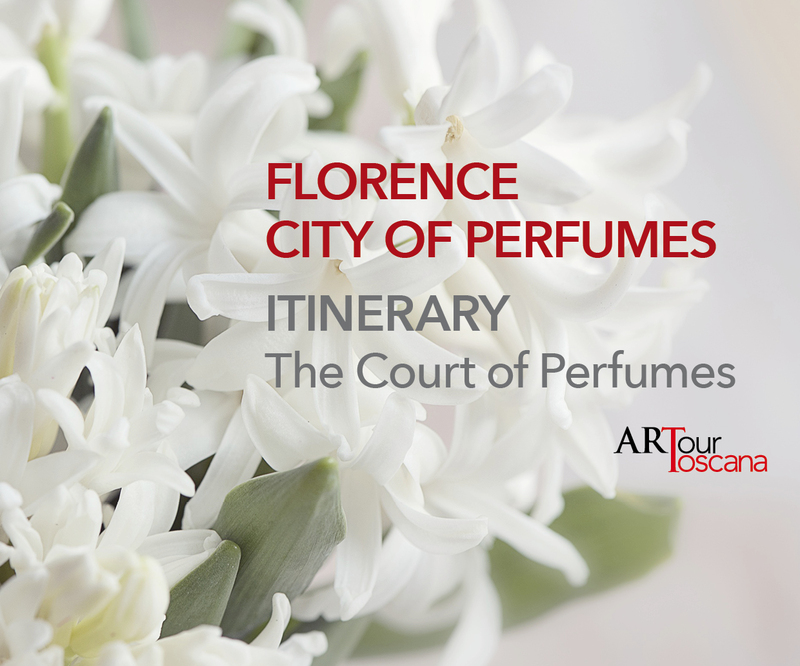 We end our journey at the discovery of the COURT OF THE PERFUMES, just outside of Florence, in Via Volta in Calenzano where the laboratory of artistic perfumery of Beatrice Barnocchi, BBFRAGRANCE in 2015 turned a dream into reality.